Few Amish have ever lived in Texas. Nevertheless, their most famous product, handcrafted furniture, has recently exploded in popularity in the state. The good news is that residents of Houston, despite being far from the Amish heartland, have access to Amish woodworking via numerous area dealers. Whether you live in Houston proper or suburbs and neighboring towns including Westside, Sugar Land, Katy, Cinco Ranch, Cypress, Spring, Humble, The Woodlands, League City, Pearland, Galveston, Deer Park, Pasadena, Baytown, Conroe and others, you can locate Amish-made furniture easily in the Houston area. Scroll down to the guide below listing Amish furniture stores in greater Houston. You can also learn about Amish settlement near Houston. Looking for furniture elsewhere in the Lone Star State? Try the Texas Amish furniture main listings for other retailers around the state. Verify dealer information given below before traveling long distances, including store hours. Though Amish-owned businesses are always closed on Sundays, furniture retailers owned by non-Amish may be open. Find furniture in other states at the Amish Furniture 50-state directory. Long-established store (15 years) with new ownership as of 2012. Sells furniture made by Amish craftsmen from northern Indiana; features products from nearly 50 builders for living room, dining room, office and bedroom. Hardwood furniture made without veneer or particle board. Selection of Amish woodcraft includes tables, rockers, chairs, occasional pieces, loveseats, couches, curio cabinets, entertainment centers, plasma TV stands. Thee Amish Shoppe also carries a line of outdoor deck & patio furniture: gliders, tables, swings, lounge chairs. Also offers custom built furniture and stain matching. Northeast of Houston in Humble. E & G is an Amish furniture seller with two greater Houston locations (southeast and southwest Houston). Their line of Amish-made furniture is sourced to over 50 Amish craftsmen in the state of Ohio. Featuring customizable hardwood furniture for every room of the home as well as outdoor furniture, along with commercially-purposed furniture (schools, office, conference facilities). Bedroom furniture: night stands, panel beds, dressers, slat beds, chests of drawers, armoires, mirrors, spindle beds, lingerie chests, poster beds, platform beds. Entertainment/Living room furniture: plasma stands, hutches, entertainment centers, end tables, sofa tables, coffee tables. Children’s furniture including bunk beds. Dining furniture including tables, chairs, and more. Office furniture: computer desks, file cabinets, rolltop desks, executive desks, secretary desks, bookcases, credenzas, conference tables, flat top desks. Furniture styles include Mission, Shaker, Traditional, Transitional, Art Nouveau, Craftsman, Colonial. Offers a full catalog of hickory furniture. Outdoor selection includes poly lumber furniture (made from recycled plastic) including Adirondack chairs, swings, gliders, and benches, as well as convertible table benches, roll back chairs and gliders, and settee swings. Free delivery in the Houston area on orders over $1000. Closed Monday & Tuesday. The physical business location, previously in the Old Town area of Spring, TX, has closed. However, the owners continue to sell furniture online. Hardwood Amish furniture sourced from 100+ craftsmen. Woods include Maple, Cherry, Oak, Hickory, Quarter-Sawn Oak. Sample items: roll-top desks, cedar chests, dressers, beds, footstools, sideboards, filing cabinets, baby cribs, chifferobes, hall seats. This business northwest of Houston carries Ohio Amish-made (Berlin Gardens) poly wood outdoor furniture, including Adirondack chairs, chaise lounges, deck chairs, terrace coffee tables, outdoor dining tables and chairs, accent tables, single and double gliders, and swivel rockers. Color selections include regular colors, tropical colors, and two-tone colors. Ships direct and can also order products with a 3-week wait time. Within 50 miles, Magnolia will deliver and assemble (optional). Twenty-year warranty on furniture. Located in central Houston, Amish Craftsman offers a full line of solid wood Amish-built furniture made in Ohio and northern Indiana. Assortment includes bedroom, living room, office, dining furniture in an array of finishes and stains. Selection of furniture includes dining room tables, chairs, pie safes, hope chests, hutches, curios, sideboards, filing cabinets, entertainment centers, occasional pieces, bookcases, nightstands, armoires, chests, beds (slat, sleigh, poster and more), dressers, baby furniture, desks, and more. Also sells accent pieces and accessories including carpets, mirrors, benches, lamps, clocks, decorative candles, and jewelry boxes. Baby and children’s furniture including rockers, cribs, and children’s beds. Furniture fully customizable by wood, stain, and design (Mission, Shaker, Arts & Crafts, and more). Amish Craftsman provides delivery to Southeast Texas and Southern Louisiana, and ships nationwide. Bee County, Texas’ only Amish settlement Did you know there is a small Amish settlement in Texas, just a three-hour drive away? Don’t expect the verdant green farmland you might be picturing in your head–better to go to Lancaster County if you’re looking for that. The small Amish enclave near Beeville, in Bee County (1 hour north of Corpus Christi) has been there since the late 90s, when a group of Amish from Tennessee settled the region. 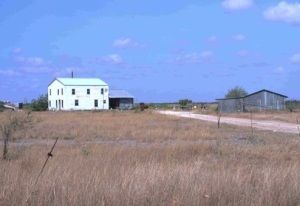 The Amish settlement in Bee County is not booming. It is comprised of only a handful of households. There are a few businesses in this community, including a general store and buggy shop. However don’t expect to find much furniture-making here. Other than rockers, there does not seem to be much commercial woodworking happening in the Bee County settlement. If you’re in the Houston vicinity and looking for Amish furniture, better to look in a Houston-area outlet (see guide above) or find an Amish furniture retailer elsewhere in Texas. While no consumer experience is perfect 100% of the time, Amish have enjoyed the benefits of consistently well-done work which has led to an overwhelmingly positive reputation for Amish-made products, and in particular their furniture. For the Amish, pride is a cardinal sin. Taking pride in one’s work no doubt happens, though Amish caution one another against it. At the same time, doing well unto others is a universal rule all Amish try to live by, which it’s probably safe to say is reflected in the furniture they produce. The Houston area provides an immense selection of furniture via both Amish and non-Amish dealers. Thanks to the reputation of their work, Amish furniture is likely to remain popular in Houston and elsewhere in Texas for a long time to come. Where in the Houston metropolitan area can I find a local retailer of Amish white baby hull-less popcorn?